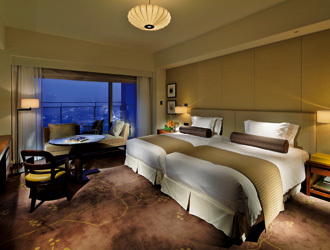 With an incomparable perspective on the city and a singular, moat-side setting across from the Imperial Palace gardens, Palace Hotel Tokyo debuted on 17 May 2012 as a new haven of hospitality – serene and refined. 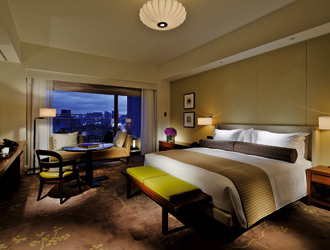 With a legacy that dates back more than half a century, the new incarnation of Palace Hotel Tokyo is set to redefine hospitality by embodying the very best of Japan, as delivered by its unfiltered celebration of the country’s culture. The luxurious new facility offers 290 guest rooms, each at least 45 ㎡, 10 distinctive restaurants and bars, and Japan’s very first evian SPA TOKYO, complete with a fitness center and swimming pool. 5 minute walk from Tokyo station, Marunouchi north exit.